Home » Apex Legends » Apex Legends Lifeline Guide – Tips, Abilities, & Skins! We're taking a detailed look into Lifeline's abilities, as well as how best to use her with this guide! 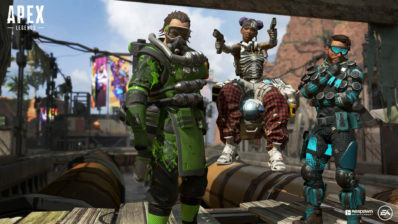 Our Apex Legends Lifeline Guide includes tips and tricks on how best to get the most out of this dynamic Legend! We take a look at her character origins, accent, abilities, skins, and tips for learning how to best play this support. We've even got some wallpapers for Lifeline so you can some love for this character. 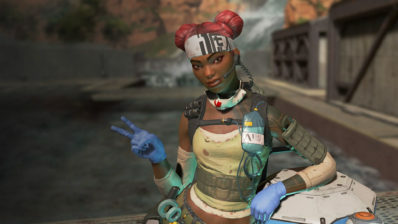 Lifeline excels early in the game due to her ability to heal and support her teammates with her tactical and passive ability. The tactical ability gives you healing that you might not have looted, which can allow you and your teammates to survive in those early fights. This ability is also good later in the game because you can continue to fire off shots while healing. 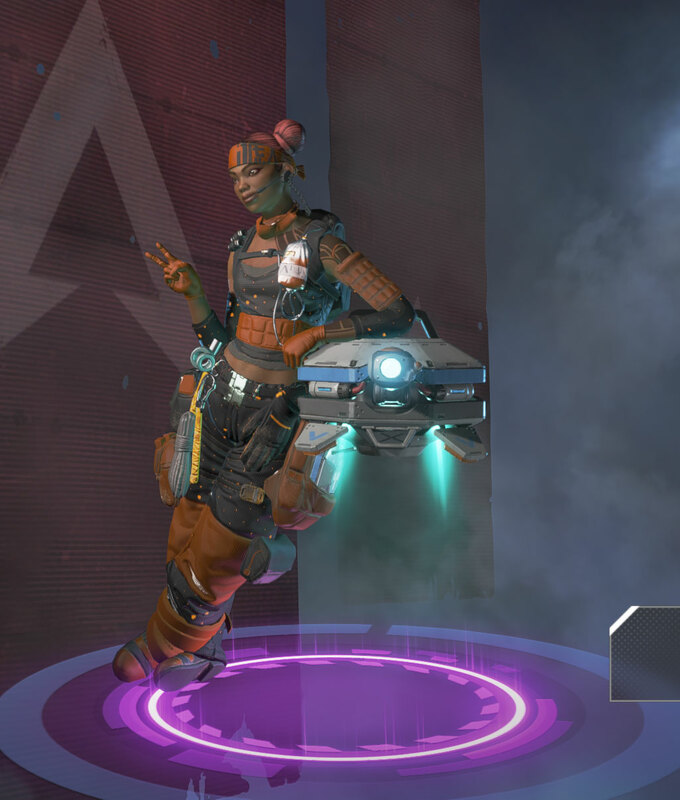 The passive ability gives Lifeline a way to resurrect teammates not only quicker than most characters, but with more protection. The shield is hard to cut through early on, so you are almost guaranteed to get off the revive unless the enemy is super aggressive or right on top of you. People really to seem to love her accent, it appears to be Jamaican in origin! Lifeline is voiced by Mela Lee! It seems like there's an odd rumor that Lifeline can somehow revive herself, but that's not the case. The only way you can self revive yourself in the game is if you have the Legendary Knockdown Shield. You can use that to revive yourself from being knocked down, but even then it's difficult to pull off unless you are covered. 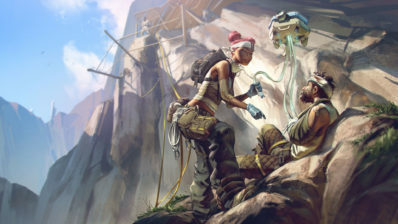 Lifeline's abilities are very much support in nature and will help you heal, revive, and equip your teammates! While not the best tactical ability, this can still be very useful in a lot of different situations. 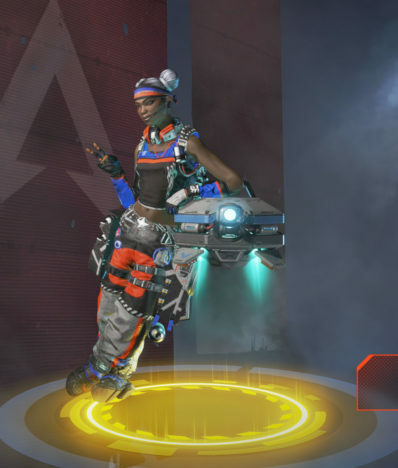 This ability is especially good in the beginning of the game where you and your teammates are going to be lacking in healing and shields. The range on this is not far, so be sure to place it in a spot where you can potentially return fire and stay tethered to it. This can also be dropped when you are attempt to loot to heal passively and not waste time while you grab up loot. This can be a really good passive early in the game when players aren't fully kitted. In the beginning of games, it's not uncommon to get knocked down just due to bad luck with loot or just losing a fight. If you can get to the player, you can quickly revive them because of this passive ability. Once you start reviving a player you will have a shield put up in the direction you were facing when you started the revive. This shield is very strong and often you'll be able to stick a revive before the enemy has a chance to break or get through the shield. This passive also has the bonus of giving you a 25% increase in speed when using healing items. Lifeline's Ultimate Ability can be very powerful in the early-to-midgame as a way to get some healing or powerful loot. You would normally expect this to be kind of a weak ability, but you are able to get armor, heals, and potentially a good attachment. 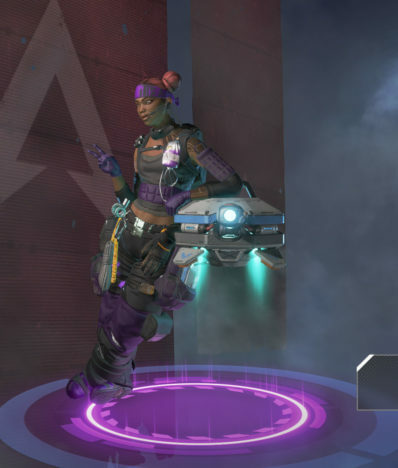 The Care Package drops a total of three items, and it appears that it's one guaranteed equipment piece (helmet, body shield, or knockdown shield), one healing or regen item (shield cell, shield battery, or phoenix kit), and one attachment. 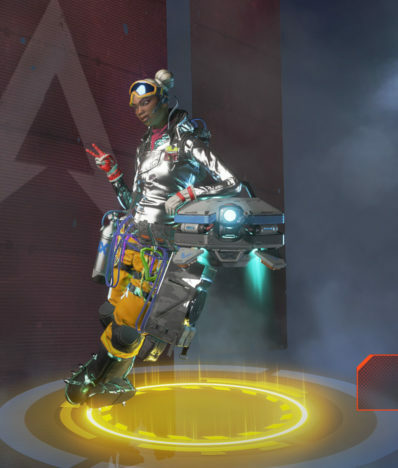 The attachment looks to be guaranteed to be at least epic but can also be legendary quality. The Care Package can also be saved if you need to respawn a teammate at a resurrection area. 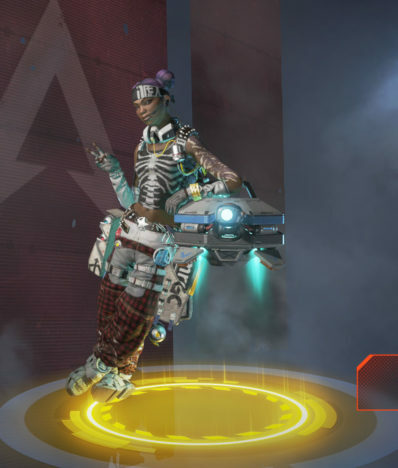 When you spawn again you will not have any loot, so having a Care Package ready for them will make it much easier for them to get setup again and able to contribute to the team. Keep in mind that you can't drop the Care Package while indoors or if there's a structure over your head. When attempting to resurrect a teammate, it's important that you face the direction you want your shield to spawn before engaging in picking them up. If you are using a microphone, be sure to tell them to get as close to a wall or corner as possible. The shield does not surround you, it has a limited width and can be shot around from the sides, above, or behind. If you can position yourself in a corner, you can cover your front, sides, and back from fire. Due to your passive, you will be the main person in charge of reviving teammates. Not only do you have the shield, you also have the fastest revive in the game. If you need to be in the storm for whatever reason, you can use your heal drone to help you survive through it. This can be valuable if you need to pick up gear, or maybe even hide from an enemy for a brief time. I don't recommend doing this later in the game where the storm deals a ton of damage. If you have a teammate that got downed but you can resurrect them, you'll want to save that Care Package ultimate for them. You respawn without any loot, so having some potentially strong items available to them right away is very useful (particularly armor). Make sure you are taking advantage of Ultimate Accelerant as much as possible. This is an easy one to forget to use, and your ultimate is really useful in the beginning and middle of the game to get some higher grade equipment. Your ultimate can also be used as a temporary way to create some cover. It's not the greatest option, but in a pinch if you need to get across an area it provides additional shot blocking ability. Make sure to be careful when using the ultimate, if you are trying to remain hidden it makes it really obvious where you are at. Alternatively, if you want to draw people to your location it also works for that. A little known fact about the Care Package is that it will deal damage to an opposing player if they are under it when it lands. This isn't going to come up often, but you can sometimes use this to your advantage to block off an area of attack. While it's not supposed to deal damage to you, there's a rare bug where it can one shot you. Until that bug gets fixed, I don't recommend hanging out under it. 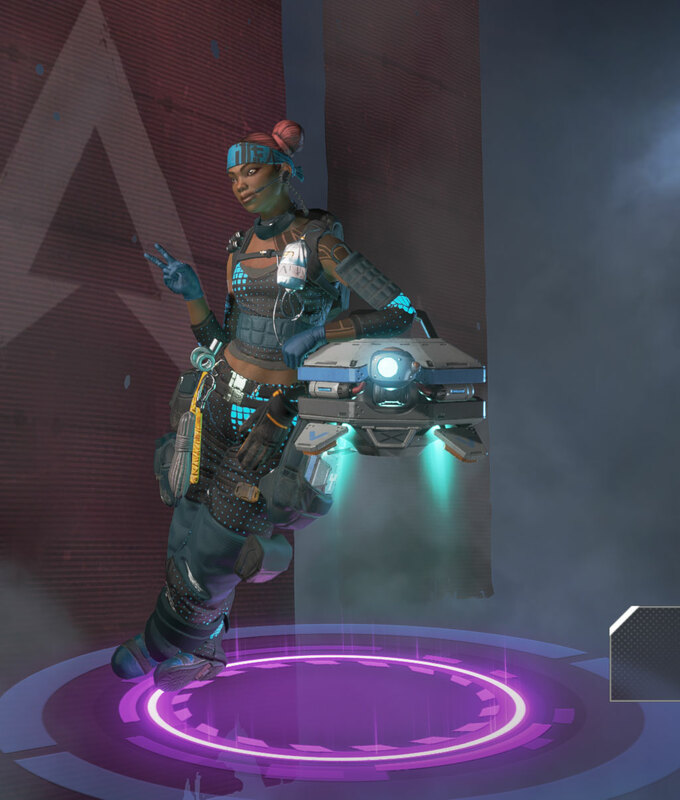 Lifeline isn't a great in the fray type of Legend. She doesn't have an escape, so if you are in battle and out of cover there will be no way to save yourself. She is much more reliant on her teammates than some of the other characters. Lifeline heals very quickly, so you will want to pop heals for yourself more often than you might with other Legends. Here's the Legend and Epic skin options for Lifeline currently! We've got a couple of wallpapers of Lifeline so you can dress up your desktop! They are both 1920x1080 in size, you can click to enlarge them.